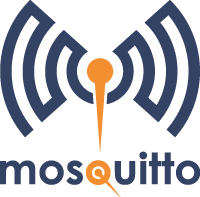 This is the first release of the Mosquitto project from within the Eclipse Foundation. Optional support for Websockets in the broker. Bridge behaviour on the local broker has changed due to the introduction of the local_clientid/local_username options. This allows different authentication methods for the remote and local brokers. The default TLS behaviour has changed to accept all of TLS v1.2, v1.1 and v1.0, rather than only only one version of the protocol. It is still possible to restrict a listener to a single version of TLS. The Python client has been removed now that the Eclipse Paho Python client has had a release. When a durable client reconnects, its queued messages are now checked against ACLs in case of a change in username/ACL state since it last connected. New use_username_as_clientid option on the broker, for preventing hijacking of a client id. The client library and clients now have experimental SOCKS5 support. Support for wildcard certificates for clients and bridges. The clients have support for config files with default options. There are more changes not listed here, as well as bug fixes.